Fantastic loaf, had been given huge bag of feijoas and ‘googled’ for an easy loaf. 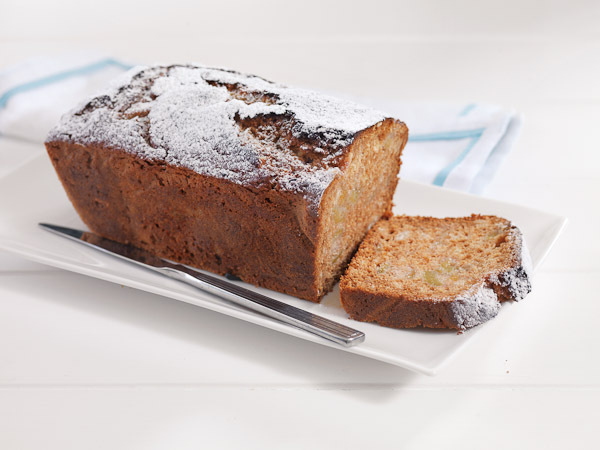 It has been years since last baking a ‘loaf’, beats all your muffins….. So easy and yummy, moist, will now dig out all my loaf receipes. beautiful recipe ,i added a few walnuts to the mix . Hi, can you suggest any gluten free options for this loaf please? I’d swap out the flour and baking powder for 2 cups + 2 tsp of self-raising gluten free baking mix. That’s worked well in the past. You might be alright to leave the baking powder as is and just use gluten free flour, but I’m unsure if the stuff we get here is gluten free or not. This was yum! I couldnt wait for the hot mixture to cool down though, and whisked the dry ingredients straight in and it worked just as well. Yum!! This is a delicious and very easy loaf. I doubled recipe and both loaves were superb. The ones I used kept well and remained nice and moist for about 3 days. Delicious loaf – didn’t last long as it was too tempting!! This recipe is a real winner! My partner scoffs it down every time and my parents were equally impressed. Thanks! Wonderful loaf YUMMY !!! I have just made 3 of them. 2 for friends and one for my family. thank you love it !!!! Scored lots of brownie points with colleagues at work. Easy tasty loaf, forgot to add baking soda, but still ok to eat. Will try again with baking soda next time ! I did add a handful of toasted walnuts. Easy tasty loaf, forgot to add baking soda, but still ok to eat. Will try again with baking soda next time ! I did add a handful of toasted walnuts. Also added a cinnamon quill when simmering fruit and left in whilst it cooled.